Is waiting to make your orthodontic treatment tracking smoother. Just open DOM and take a look at the top toolbar. Find the little tooth with the bracket. Click from within any patient’s records and you’ll immediately be able to set up a full orthodontic record for them. 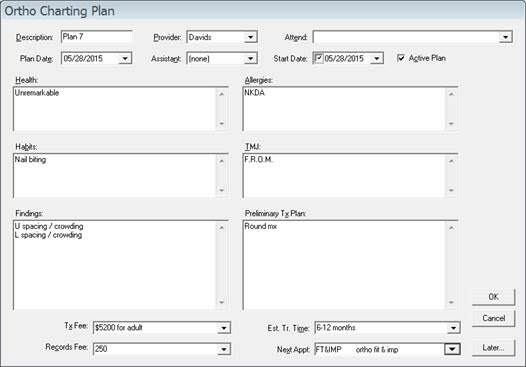 We made filling out treatment plans and recording visit details quick and easy by using templates. 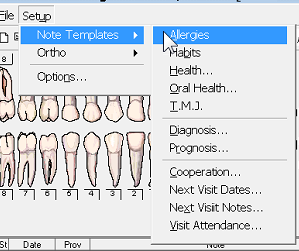 Go to Setup on the main menu bar within Orthodontic Charting, and for every field (like “Habits” “Findings” “Treatments”) you can enter in every note you’re likely to use. When you click on the field during an appointment, you’ll get a drop-down menu with all possible notes. Just click – no need to write out the notes each time. Due to requests from clients, we’re now working on creating built-in note templates, to make your setup even faster. 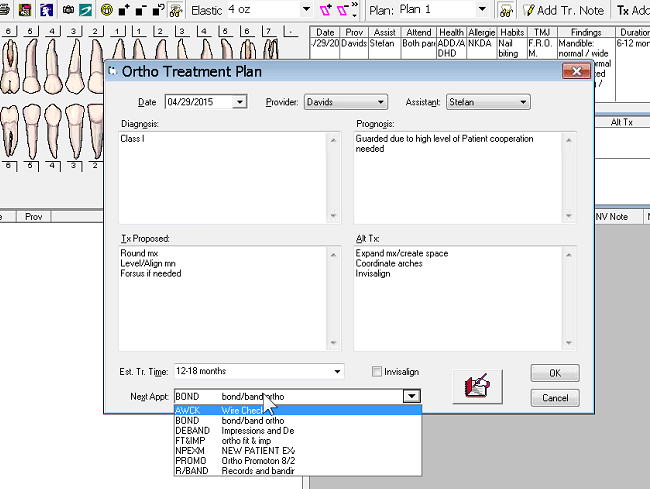 If you want to create an alternate treatment plan for financial or pragmatic reasons, or you are advancing to the next phase of treatment, simply press the Copy Plan icon on the toolbar. 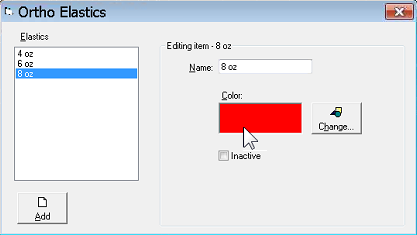 Or right-click from within an existing treatment plan and click Copy. A new plan will be created, containing all relevant patient details from the previous plan. 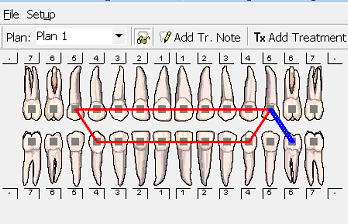 DOM Orthodontic Charting enables you to keep detailed visual records of a patient’s elastics that are easy to read at a glance. Just click the relevant teeth, choose the elastic size, and click the Add Elastic button. You get to choose the color coding of different elastic sizes. And if you need to check the elastics history of a patient, it’s there at a click. You can go back to the date of any previous appointment and see how the elastics of the patient were positioned. Treatment notes are easy, too. Just click the Add Treatment Note button. A dialogue box will pop up for you to enter the note. 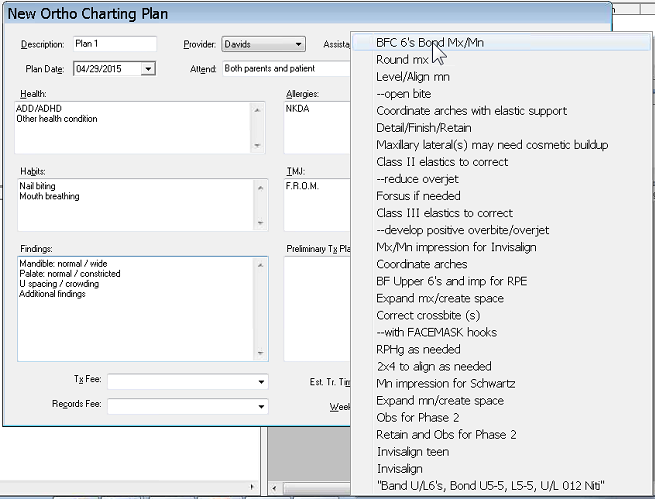 Like all other fields in DOM Orthodontic Charting, you can set templates for standardized notes to save time. Click OK, and there under the teeth diagram is your note – for you and all other providers in your office to see. 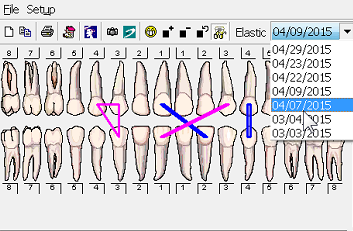 We hope you’ll be able to utilize Orthodontic Charting for your practice. If you have any questions, or would like access to our 40 minute video walk through , just be in touch with BRS Support using the form below. We’ll be happy to help.